Gust wasn't lying when it promised that in 2017 it would release what it calls the "beautiful girls trilogy." The company was talking this trilogy of unrelated games up at Tokyo Game Show, and while we already knew about Atelier Firis and Nights of Azure 2 (both of which do indeed star quite beautiful girls), Blue Reflection was little more than a poster at that point. Related reading: A recent interview with one of the most important people at Gust; Yoshito Okamura. 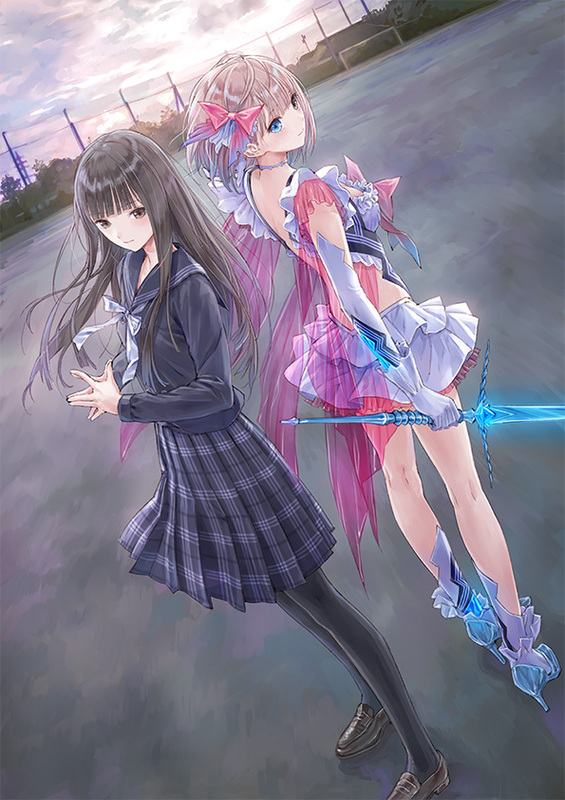 Now, however, the company has released much more art, and these girls might just be the most beautiful of all. This was already one of our most hotly anticipated JRPGs for 2017 (full name is Blue Reflection: Sword of the Girl Who Dances in Illusions - Maboroshi Ni Mau Shojo no Ken), but now we've created countdowns on our calendars to the game's release in Japan on 30 March for PlayStation 4 and PlayStation Vita. Or Matt has, at any rate. In addition to the new screenshots, Gust has also provided more details about the game, giving us details of the basics of the turn-based battle system and related friendship bonds. Battles will have a classic turn-based setup, with the player selecting actions (attack, overedrive, support, escape etc. ), and a timeline bar at the top of the screen showing the turn order of action. 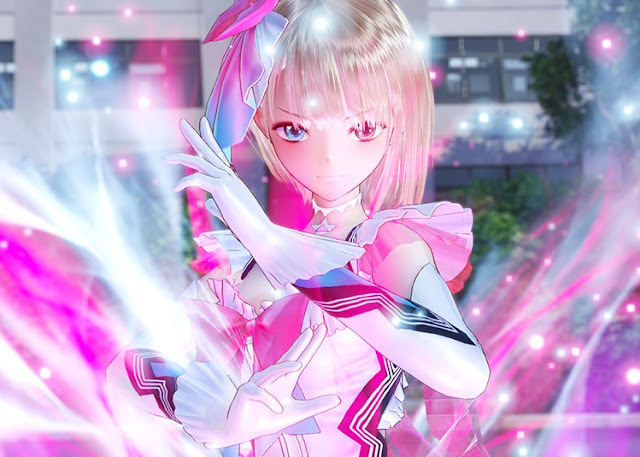 If certain requirements are met during battle, the three girls, or "Reflectors", will be able to trigger a cooperative technique that links the strengths of Hinako, Yuzuki, and Raimu together. 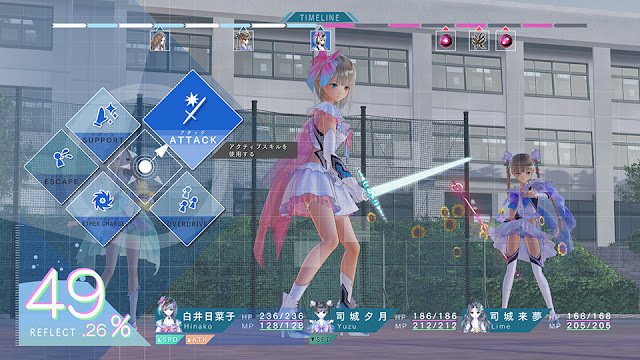 The game is split across multiple worlds, and when in the real world, you’ll also be able to receive support from your other schoolmates. For this you need to choose your support schooolmates in advance; each Reflector can have four regular allies as support. This means there is a possible total of fifteen combatants. Blocking is apparently a crucial skill for defeating ultra-powerful enemies, so support techniques can often be the deciding factor. In order to form strong support relationships, the social bonding aspect is obviously critical to success. 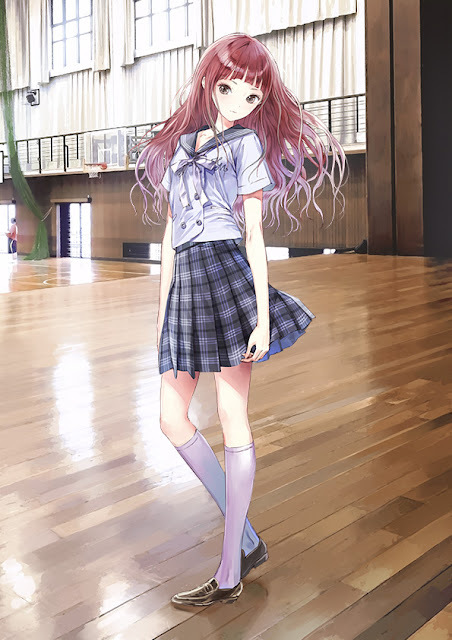 You need to take on requests and meet schoolmates during your free time, suggesting that the game does have a very heavy social element, and that is something new for Gust, which will be fun to watch in action. But seriously, we can't get over just how beautiful this game looks.